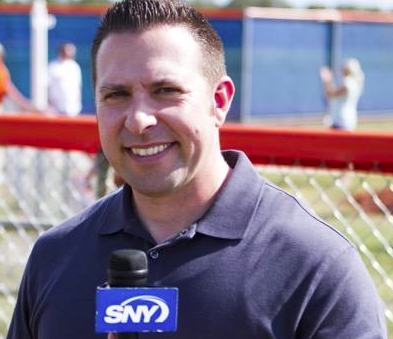 Robert Brender is a host and reporter for SNY.TV’s Mets coverage. 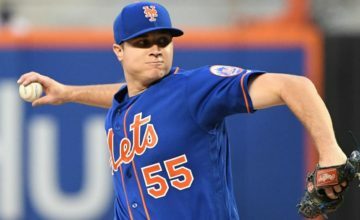 I have little doubt that if all things go right the Mets roster as currently constituted is good enough to compete for a Wild Card berth in the NL. That said, there are several factors that can swing their ability to contend one way or the other. They desperately need David Wright to be healthy and post numbers like he’s capable. Without that, there’s very little chance this offense will be good enough to support the pitching staff. They need to get the Travis d’Arnaud from the second half of 2014 offensively and hopefully see some improvement with his defense. Can Michael Cuddyer stay healthy enough to support Wright in the lineup for 140 games? Will Lucas Duda be the force he was against righties again and give them 25-30 homers? I think it’s fair to suggest Curtis Granderson is the player we saw last year, or something close to it. Maybe the fences being moved in and Kevin Long can help a bit. All that said, the defense could potentially be very poor, even if the offense is solid. That’s a problem. Better hope the pitching lives up to the expectations and all the above goes well. The simple answer to this question is a shortstop. It would have been nice to see the front office finish the puzzle that’s the most obvious missing piece. Frankly, it’s disappointing they couldn’t find a more reliable option for that spot, considering how poor the defense has a chance to be at second base and both corner outfield positions. It’s hard to say which player they should have gotten. I didn’t love any of the free agent options, and clearly neither did they. I understand why they would want to wait to see if Tulo is healthy before considering a trade. And Desmond looks to be a one year rental who will cost high quality prospects. I’m not sure there was an obvious answer but, at the very least, I would have liked to see a reliable true shortstop on the roster in case the Wilmer experiment fails. I’m an optimist but for the Mets to compete with the Nats in 2015 they’ll probably have to win 90-100 games. That includes finding a way to actually beat the Nats a few more times than they have the past few seasons. If you’re looking for a weakness in Washington, maybe you can hope the bullpen won’t be as good without Clippard. Can Werth, Harper and Zimmerman stay healthy? Maybe Escobar struggles at second base. I’m reaching a little. I just don’t see how the Mets roster matches up. If he’s healthy, I have all the confidence in the world that David Wright will be a much better player than he was in 2014. It’s fair to expect some regression as he gets older but I’m sure the shoulder injury played a major role in his poor performance last year. He’s says he feels great, so I’ll believe him. Moving the right-center fence in at Citi could also help with the power numbers. He used to crush balls to right-center at Shea. I would refer you to my answer to Q1. David is the linchpin for the offense but they need contributions from several players to make this a strong offensive team. I generally don’t like to use the word hate when describing my feelings about a baseball franchise. I have an appreciation for their sustained success throughout history with only relatively short periods of poor performance. It’s also easy to be jealous of their budget and ability to spend their way to stronger rosters. But, I was always happier being a Mets fan. I think longer periods of struggle and fighting adversity make success more enjoyable. Do I understand why some Mets fans hate the Yankees? Sure. I also understand why White Sox fans hate the Cubs, Angels fans detest the Dodgers and A’s fans don’t like the Giants. If I had to choose between the current Mets roster and farm system or Yankees roster and system I would take the Mets without question. 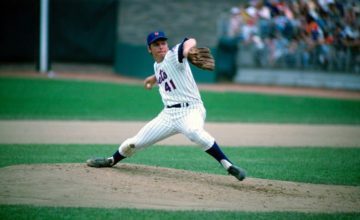 The Mets pitching is far and away superior to the Yankees and depth in the system isn’t comparable. That said, the Yankees have spent a ton of cash on international free agents recently and should have a better farm system in the not too distant future. The Mets also have more youth and roster flexibility to make necessary changes, which has been a front office goal. This might be the obvious choice but the best food I’ve eaten at Citi is Shake Shack. I get it every time I’m at the ballpark. Good thing I’m not there every day. By the end of the season the Mets will be in contention for a Wild Card spot with a win total in the mid-80’s.